Zulilly has some very cute plus size clothes. They are not the cheapest, but everything seems to cost 29-39 dollars no matter what it is. The only problem I have with their site is that I find it a little hard to search. I see an ad with a very cute shirt I'd like to buy but there is absolutely no way to find that same shirt on the Zulilly site. They do have a full range of plus sizes there. I am not sure what size you ewear, but there is a sote called Fashiomia. I think they go to size 22. Prices are great, but clothes are bought quickly. I understand your frustration. A lot of people are going through the same thing. The people who make clothes seem to focus too much on the smaller sizes and not nearly enough on plus sizes. Try fullbeauty.com it's a site that I've been buying from lately and they always have stylish things there. 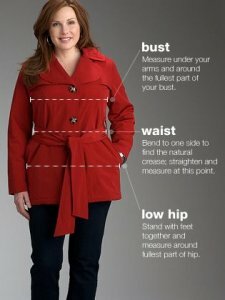 Well, I'm not a plus size user, neither a big sizes user, but there are many clothing pieces which you can buy, mostly L - XL sizes which are really stylish, cheap and that fit you, sometimes sizes are different to what their standard size has to be and that could help you out a little bit. Good lucl. I wear size XL and sometimes XXL. And yes, we usually don't get much stylish clothes in these sizes. There is a brand - PLUSS, I saw some good styles in this. Although most of them were too big for me. But they do have good selection. When you can't find your desired item within your budget then it's time to rush to your tailor. Getting your preferred style, design, material and cost all in one place can get you comfort, confidence and compliments! Hi Kenya. Lately I have been shopping on Amazon and the brand Stylzoo has very nice clothing that is very affordable. I bought some of their palazzo pants and it was super confortable to use around the house and even for work. They have cute undies too which I plan to try. If you rely from us here, I am afraid if we could give you the best sources or sites that could offer an inexpensive plus size apparel. Purchasing them from online store, they couldn't be guaranteed if they're good or in a quality items. Branded plus size clothings are too inexpensive. I may refer to search on online stores like Amazon, Lazada, Zalora, among others. In our country, we have the top best online clothing store. They are as follows: Zalora, gobuy, KILY, Seek The Uniq, and Lazada. You may visit them and look for your needs. My friend is obese, she is around 300 pounds, and I know she goes to a tailor to have her clothes customized according to her exact measurements. Maybe you should try the same too? Plus having it custom made is cheaper compared to buying it in stores. Yes this is happen with the person who require plus size outfit they have to pay more than normal size outfit. 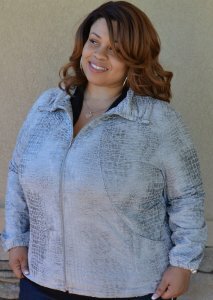 Don't worry about it, Ninecolours lounched plus size outfit for women and it's in a regular prices. I go for men's size for t shirts and that too XXL. And as for underwear that also is the largest available. I prefer comfort to fashion. This I decided after a couple of disappointments I had with online shopping when the size ordered did not fit me. When you're shopping online for clothing you should look for the measurements of the items while knowing your own measurements. Buying clothing from other countries is a sure way to waste money. Look for online store that give you the size and measurements of the item. In South Africa, there are so many beautiful and great designs for plus size ladies. For both local and international fashion. There is also a push towards encouraging plus size women to model for fashion lines that cater for this segment. Because sometimes this is where the challenge is. A leading design house recently launched an underwear range for plus size women and there were women representing all colors represented in this ad. It was such a beautiful thing to watch. ***I would love to see a photo of that*** Do you have one you could share? I also difficulty in finding clothes for my plus size wife Most of the times when she likes something, her size is not available. you should try a combination of different websites. Apart from the designer shops, you can look at your local shops for second hand. They aren't really second hand, most times they are old stock from the big shops thet weren't sold out that season. So you'd be buying them cheap with of course high quality. What better deal?